"RIPCUTCORP" is molded into the bottom of the object. 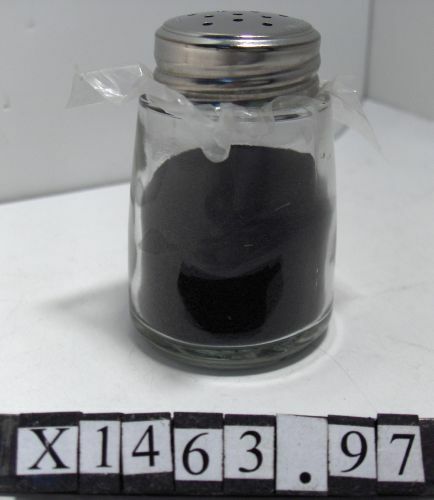 Object consists of a salt shaker filled with ferrite cores. The top of the salt shaker is sealed with plastic overwrap to prevent spillage.